Hey everyone! I hope you all had a fantastic weekend. It was rainy, depressing, and full of germs in my household. Everyone has been struck down with the stomach flu here and I haven't gotten it yet. Fingers crossed that I don't!! 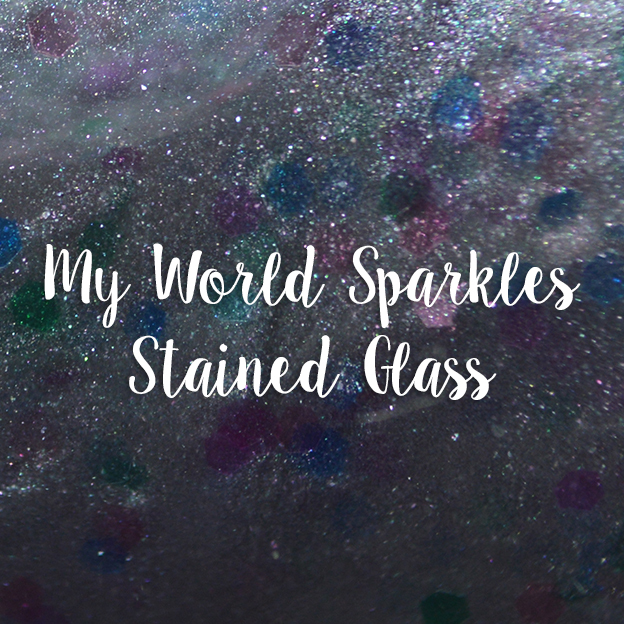 Today I'm going to share the Shakespeare Collection from My World Sparkles with you guys, as well as the group custom and another new color from MWS! 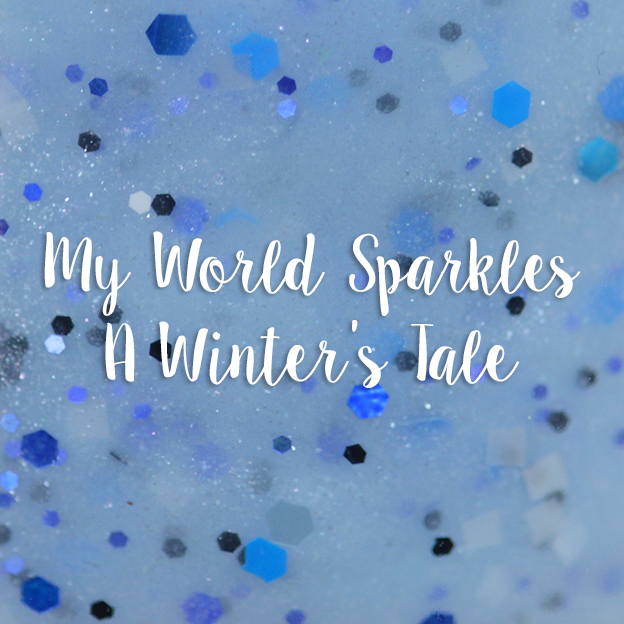 Description: A frosty shimmery white base with various glitters. Application & Formula: Formula is sheer and has visible nail line. 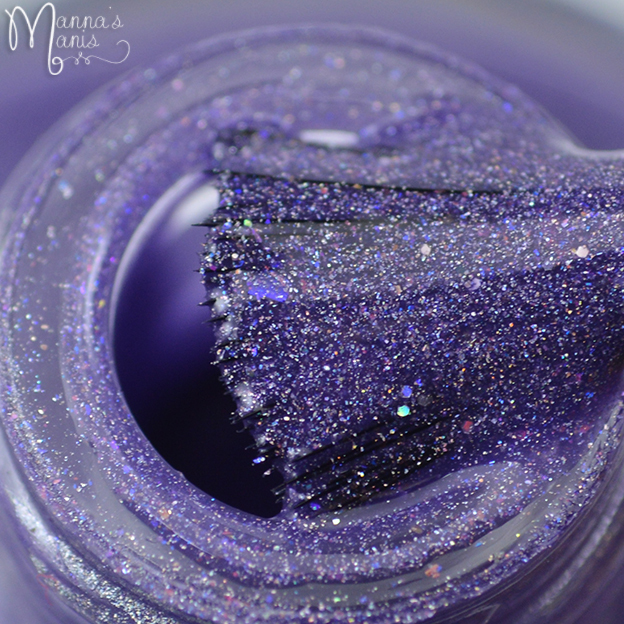 Application is easy, ample amount of glitters. 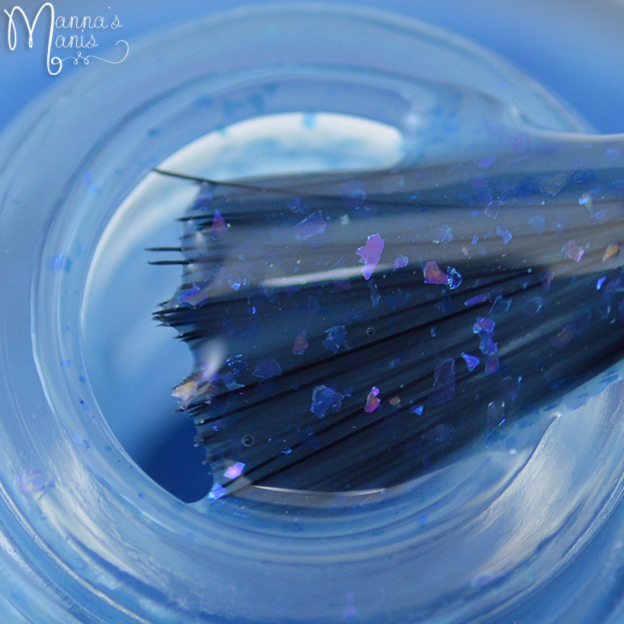 No clumping of glitters on the brush or nail. 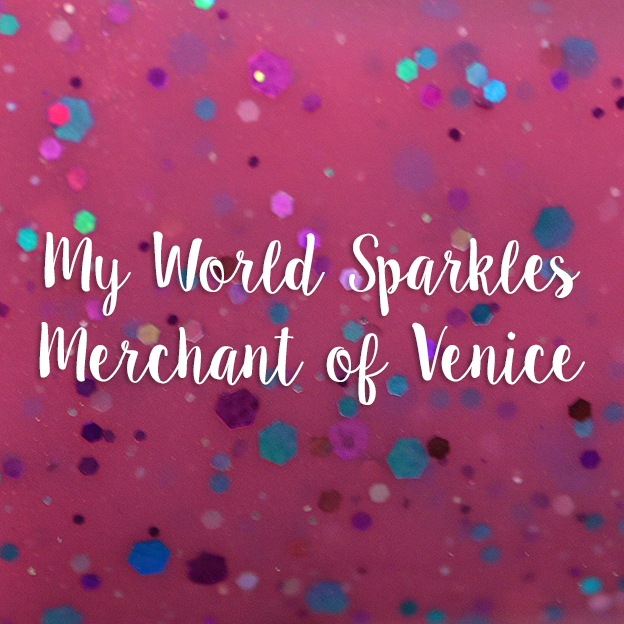 Description: A translucent black with multiple shards and mini glitters in pink, purple, blue and gold. Application & Formula: Good formula and application. Looks MUCH more beautiful in person than in pics. 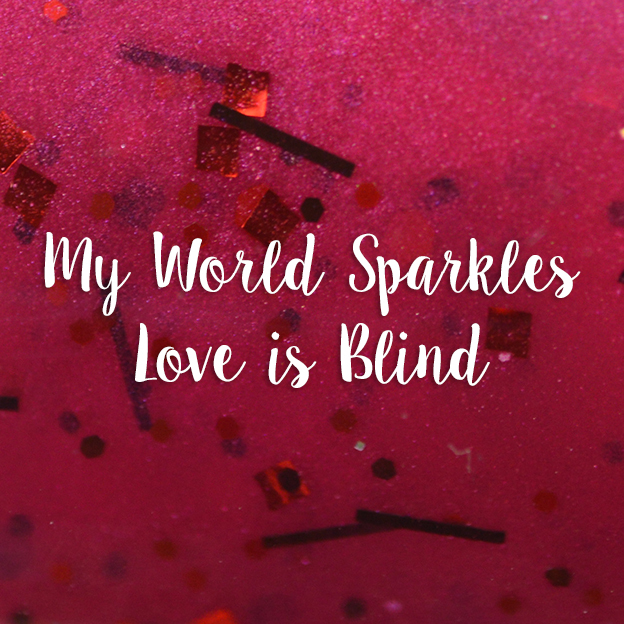 Description: A shimmery red crelly with square, hex, and bar glitters in red and black. Application & Formula: Good formula and application, no issues. 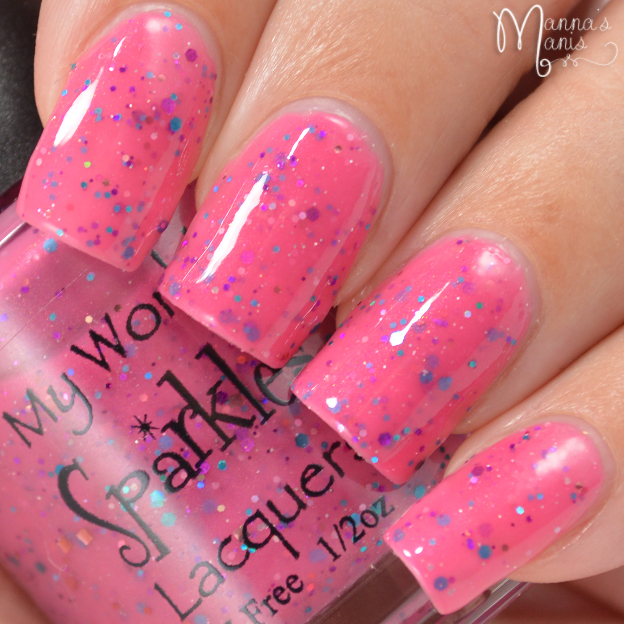 Description: A warm pink creme filled with glitters of varying sizes, shapes, and colors. 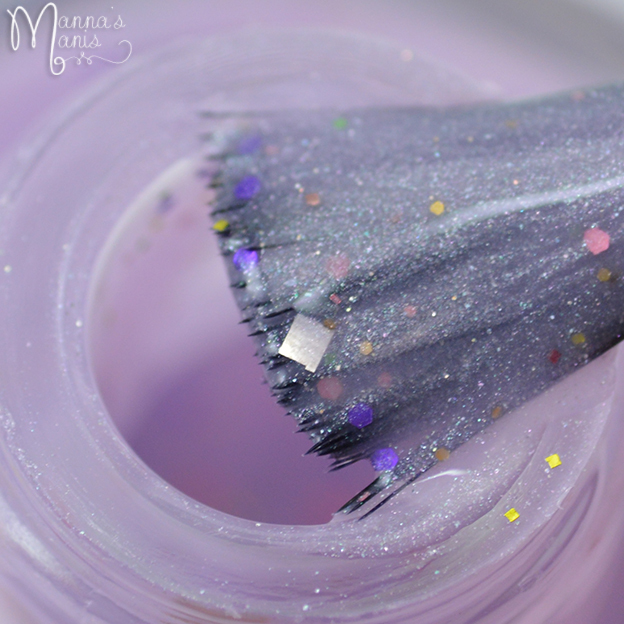 Application & Formula: First coat is sheer, still patchy at 2 coats, needs 3 for full opacity. 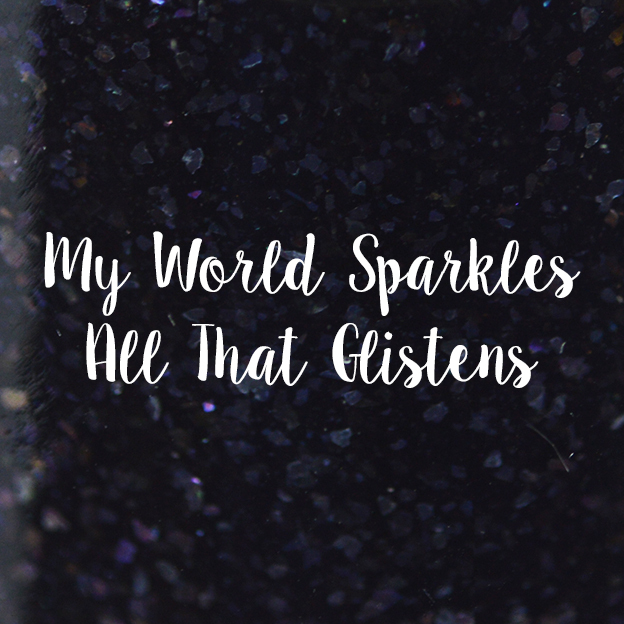 Ample amount of glitters, no clumping on brush or nail. 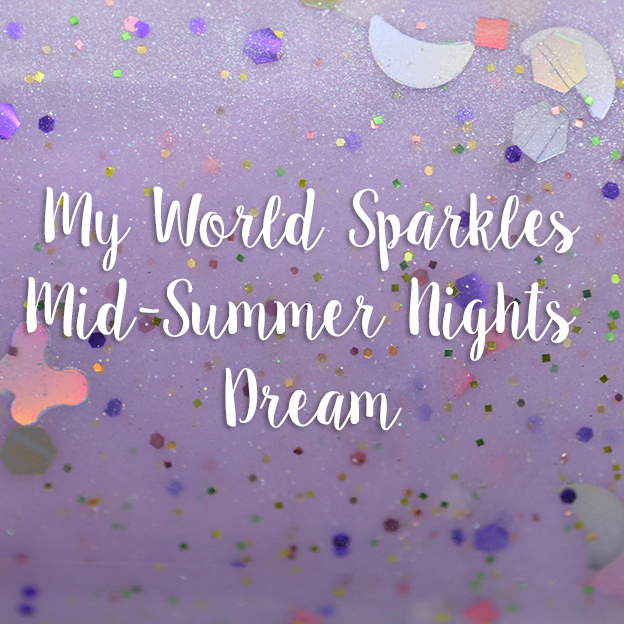 Description: A lavender creme filled with small glitters of varying shapes and sizes, moon, flower, and butterfly glitters. 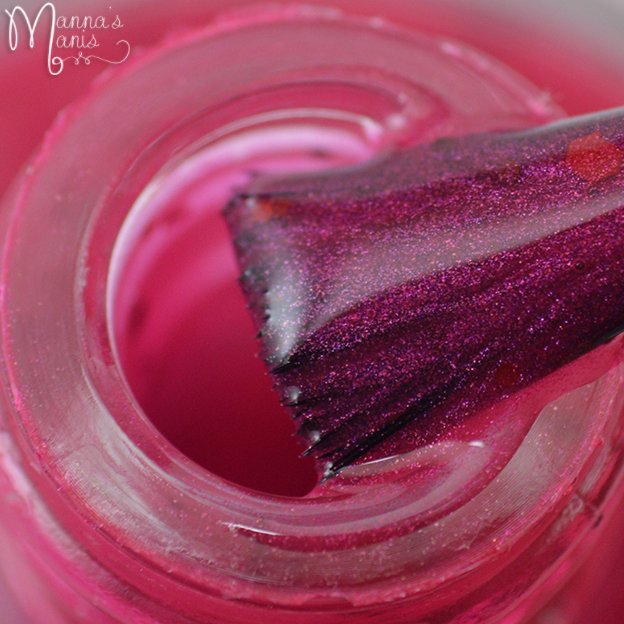 Application & Formula: Application is easy, ample amount of glitters. 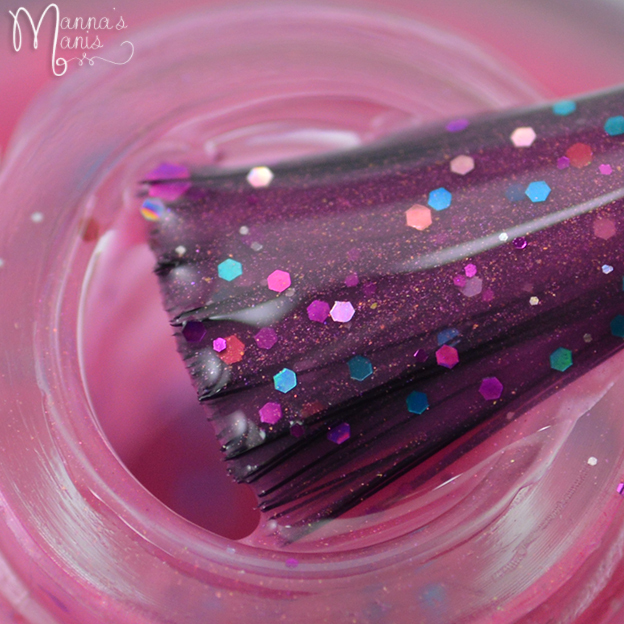 No clumping of glitters on the brush or nail. 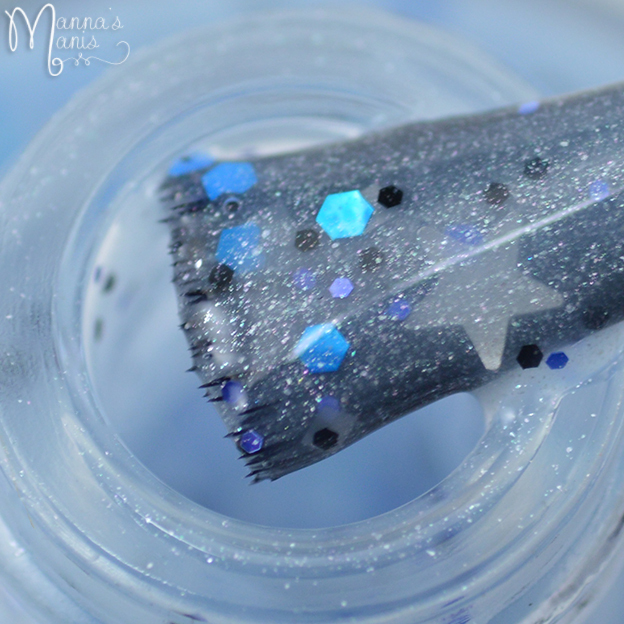 Big glitters are hard to fish out. Don't like big glitters? Leave them out, it will still be beautiful! 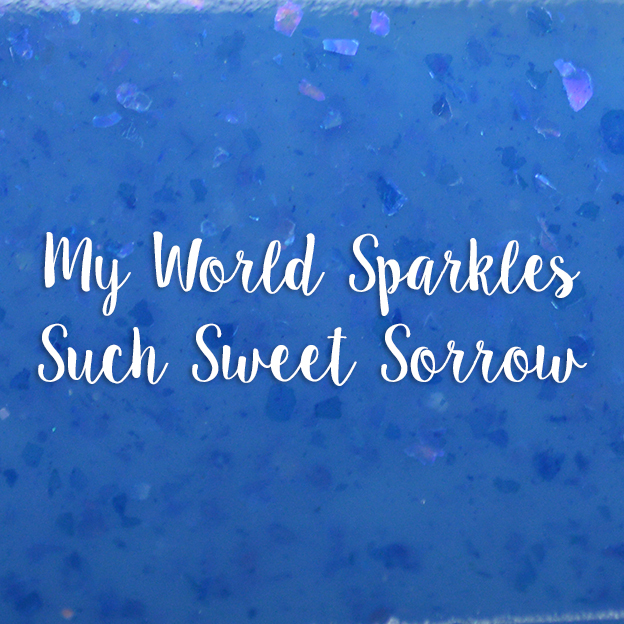 Description: A medium blue crelly with shards of flakes. Application & Formula: Formula is very sheer but builds up nicely. Application is flawless. 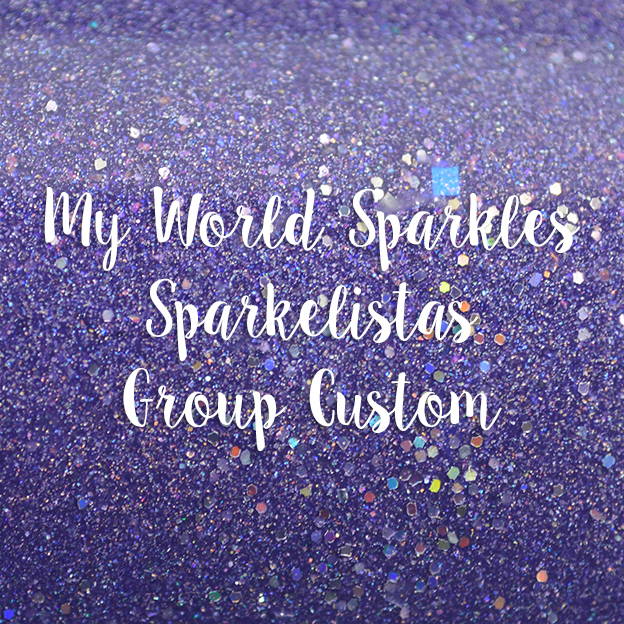 The group custom is available now but only if you're a member of the Facebook fan group, so join if you'd like this gorgeous purple glittery goodness and you will get a code to purchase! Once you join and get the code, you can purchase it HERE. Formula is fantastic, almost a 1 coater! Shown below is 2 coats with top coat. 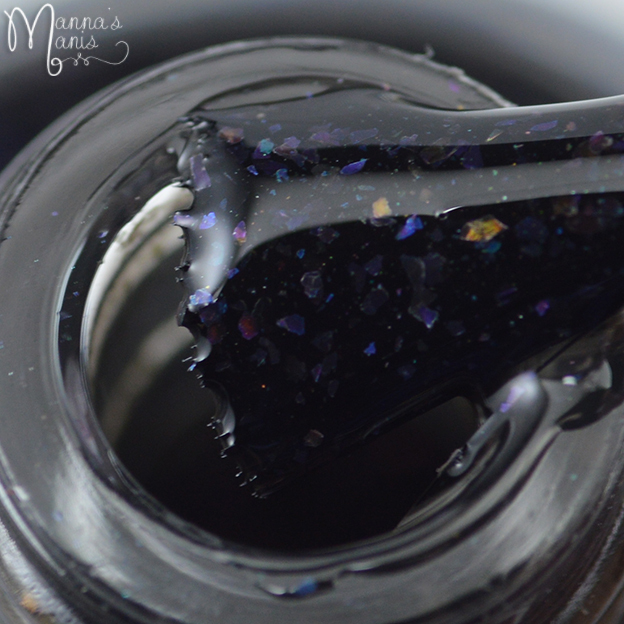 Elizabeth also included a new lacquer called Stained Glass. 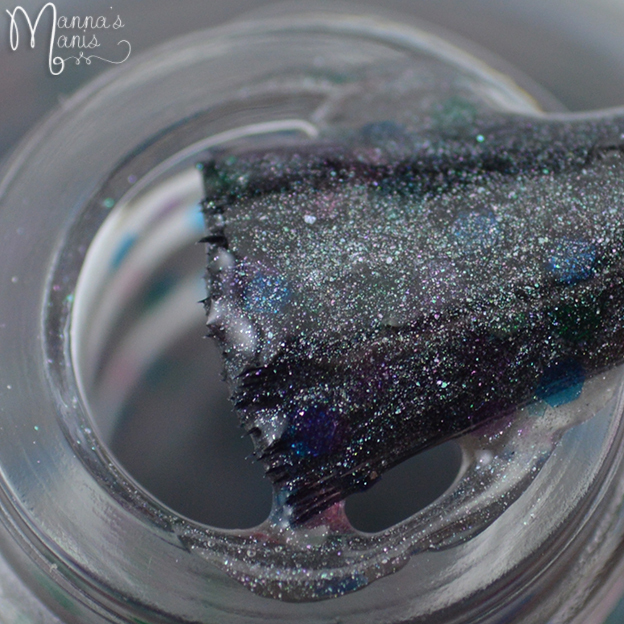 The glitters in this sheer dark shimmery base are representative of stained glass windows. Shown below is 3 coats. Price is $8. 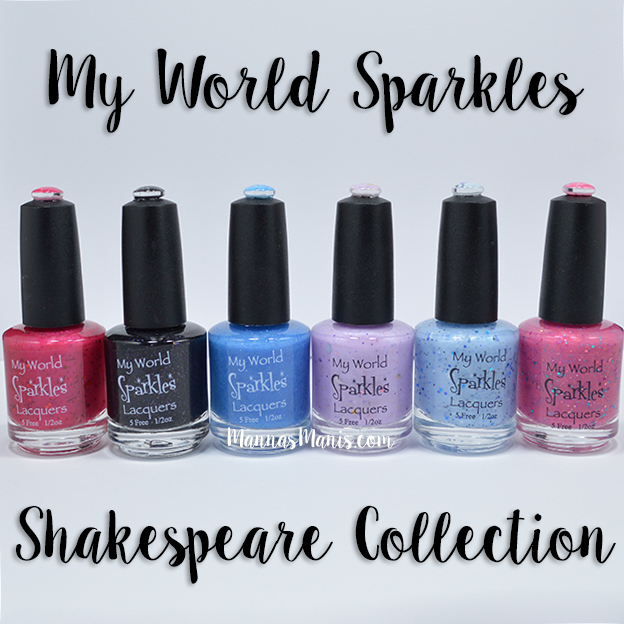 Price & Availability: The Shakespeare Collection is available now. Set of 6 full size bottles is $40, individual price is $8. Use my code MMAN10 for 10% off your order.